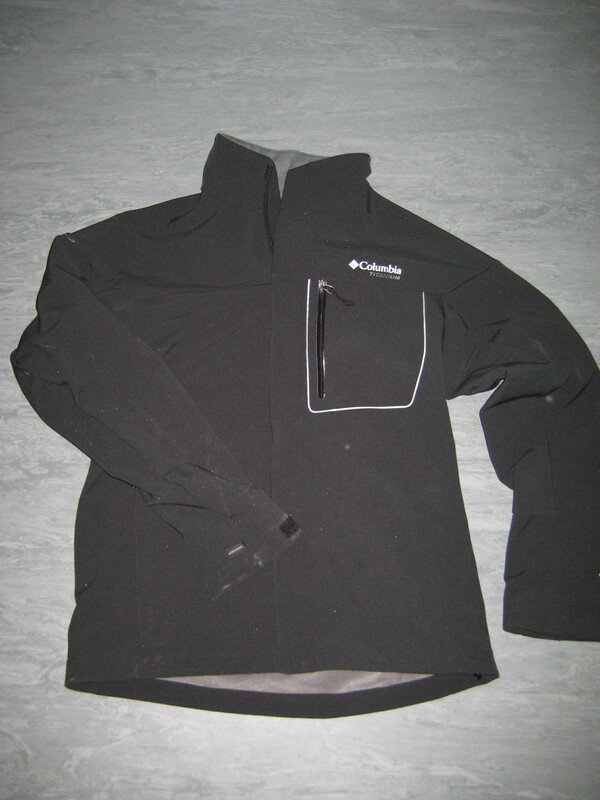 A softshell jacket from the Titanium line. Intended for double duty for outdoor or high end streetwear in a civilian setting. This softshell jacket has been brought with my own money. So I guess I’ll thank my parents and the various collection of young ladies I’ve dated over the years who managed to pass some semblance of sartorial taste and the ability to dress myself without aid. 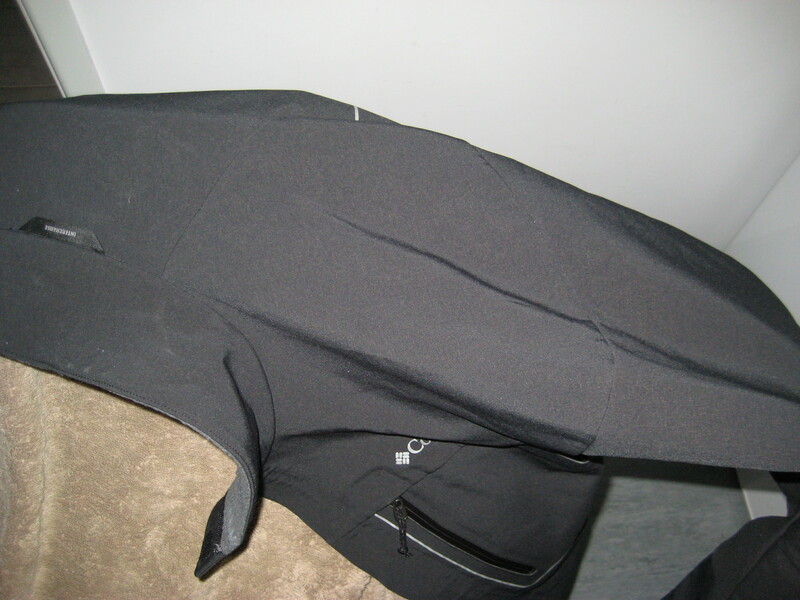 The jacket’s softshell material is like many on the market, being plush fleece on the inside, and somewhat water resistant on the outside. I compare the outer surface to something akin to rough skin on an animal. This allows the softshell to be a warming clothing article, whilst also offering some limited water resistance and protection from the environment and weather. 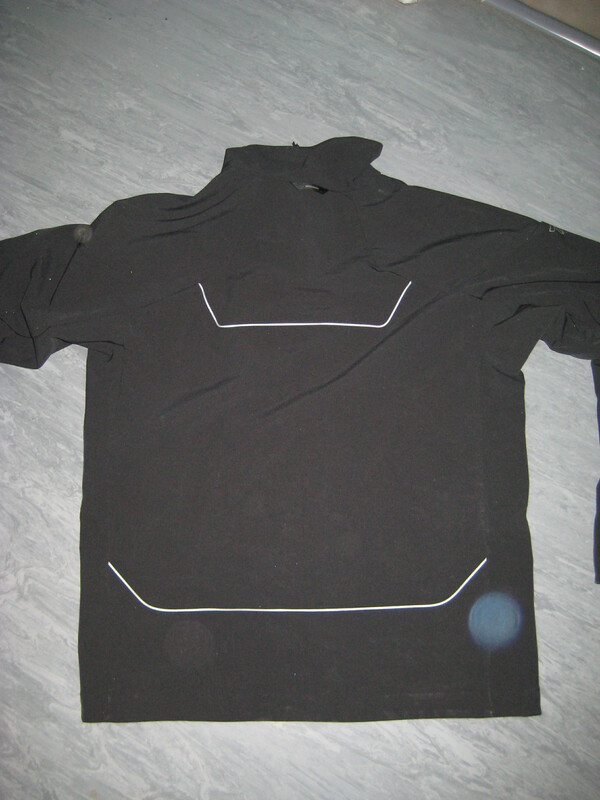 At the same time, these advanced materials allow the body to ventilate during high activity periods. Main body is of a semi-athletic cut. It’s not intended to be a smock or overly spacious, but still gives a fair amount of room to move dynamically in, with such activities as climbing. 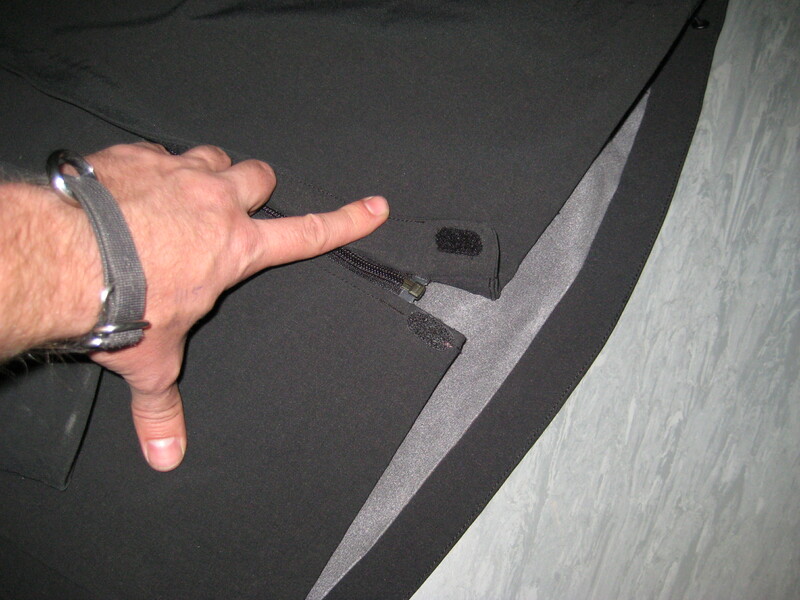 There is an elasticated draw-string at the hem with barrel locks. 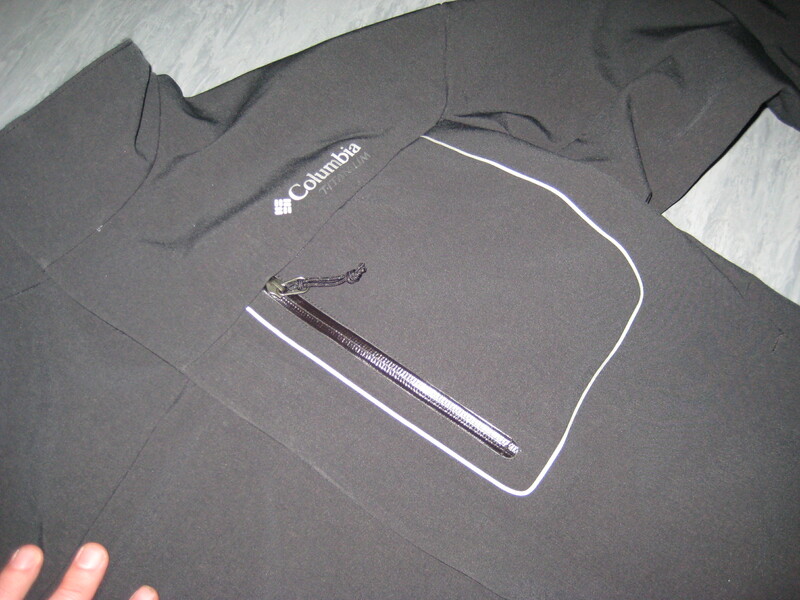 Main zip is high quality single tab YKK item, covered by a weather flap. 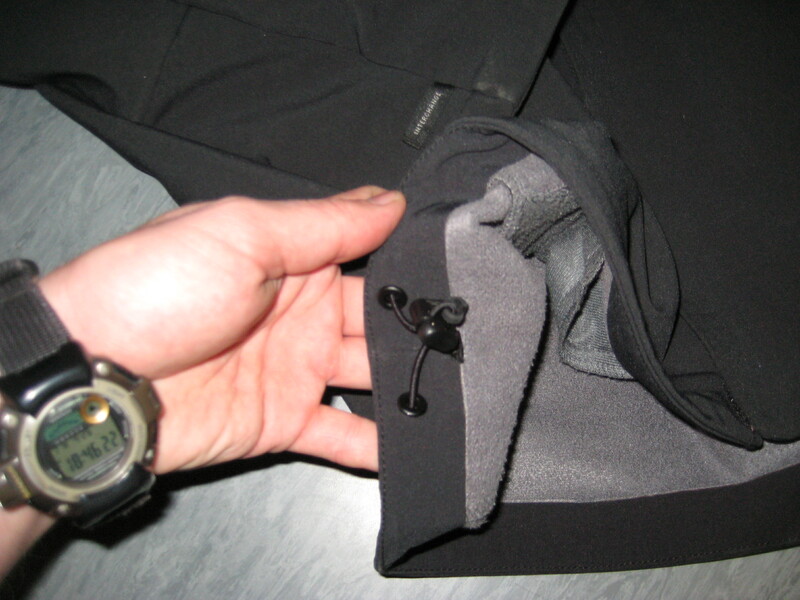 The weather flap has a Velcro dot at the top and bottom to help prevent heat loss, and damage to the zip should it get caught or snagged. 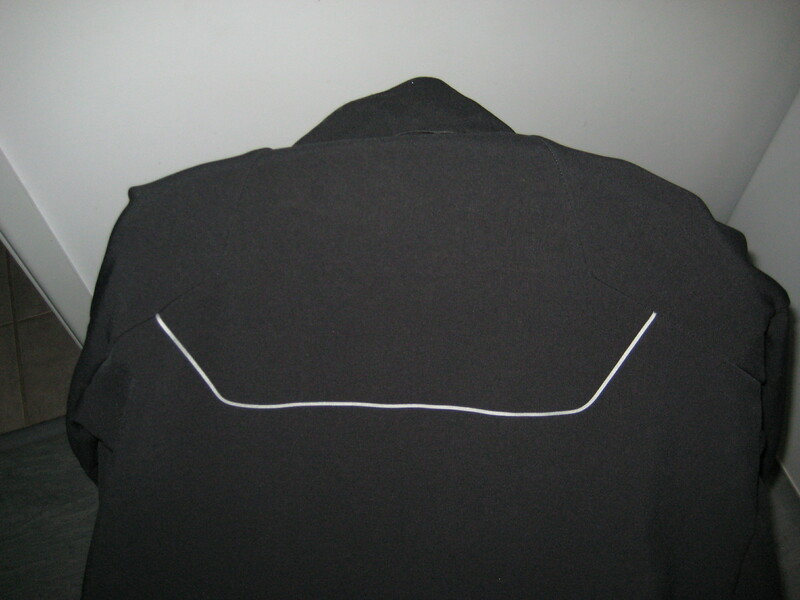 The main zip runs from the bottom edge of the hem all the way to the top of the collar. 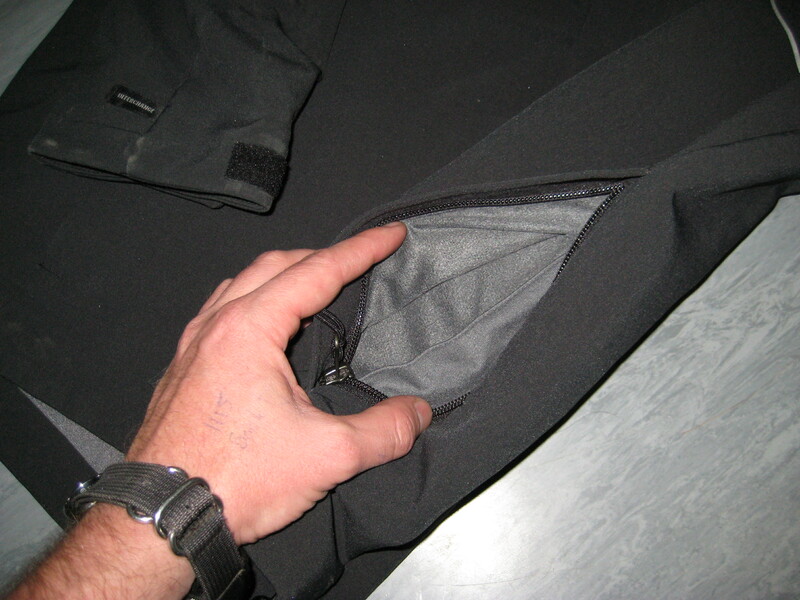 Hand warmer pockets are fitted low down in the traditional location. The pocket liner is lightweight fleece-like material. 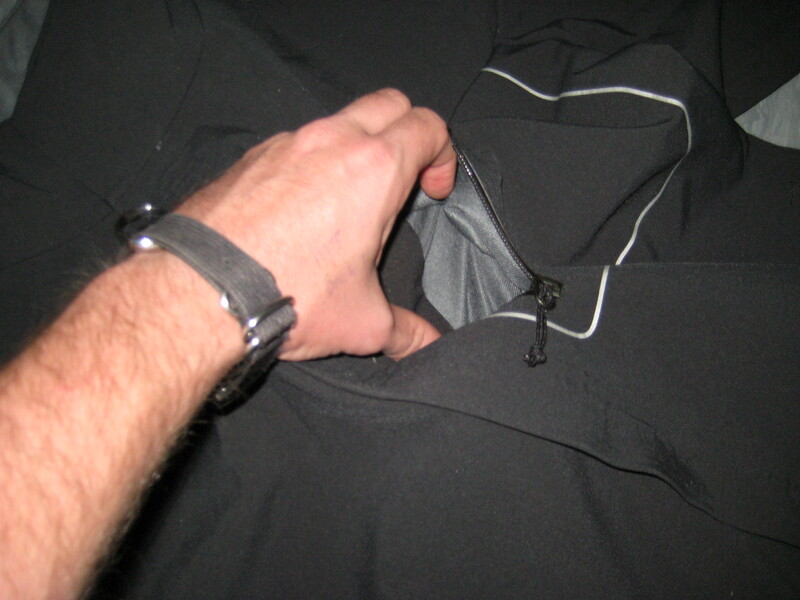 The pocket is secured via a zip with small, minimalist pull tab for use with gloved or cold hands. On the left chest, there is a Napoleon pocket with a vertical water-proof zip. The same style of pull tab is fitted as well. On the chest and back are high-viz reflective piping that catches ambient light quite nicely and certainly draws the eye as to one’s presence. The collar is capable of standing free with ease, to aid in draught and heat loss reduction. It also can be folded down out of the way with ease if needed. 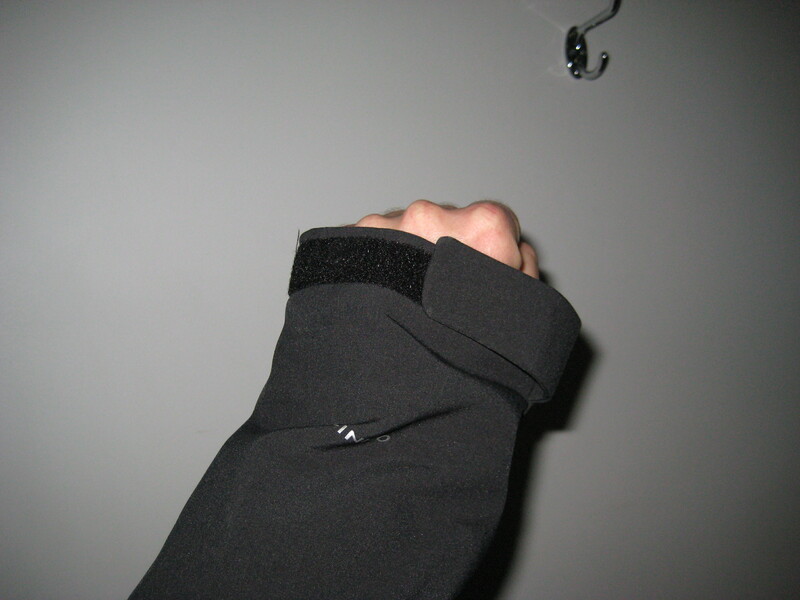 Sleeves are attached to the main body via a Raglan shoulder. This removes seams from the very top of the shoulders so that pack harness doesn’t cause pain or discomfort under heavy loads for long periods. Cuffs are adjustable via Velcro tabs. Initially, this soft shell jacket was a forced purchase when I had to fly into Adelaide for my friend Bill’s funeral. The weather brief on the Jetstar flight didn’t bode well, with high wind and predicted temperatures at around 15deg Celcius and dropping. Since it was December (summer for all you Northern Hemisphere types) I was more than slightly perturbed by this news. Thankfully, one of the main outdoor retailers was having a sale on, and I picked up this jacket at a nice price – 50% off. Sometimes, I just can’t stop my Scottish heritage from kicking in. Thankfully, for once in my life, going clothes shopping without a woman to hold my hand seemed to be successful. Apparently the jacket didn’t look too bad on me, making look just a little bit more normal human than usual, eh Chief? I reckon it looks quite fetching on me – in my humble opinion. This jacket has been subjected to some weather extremes. As mentioned, Adelaide in December 2010 was a pretty cold and wet environment. I also wore this on my holiday to the United States in the height of the blizzard season during January 2011. As part of a selection of suitable layers, this jacket has been very effective. The outer shark-skin has proven reliable enough for low to medium rainfall, providing the exposure to medium rain wasn’t sustained for long periods. The fleece lining makes the jacket quite “snuggly” and comfortable, reminding me of a blanket as a young child. The fleece liner is nice to retain air for warmth. I’ve worn it as a mid- or outer layer with t-shirts, dress shirts and thermal layers. Integration with these other articles of clothing has been good with the size (large) I bought. Worn under an eVent hardshell has also proven to be good. 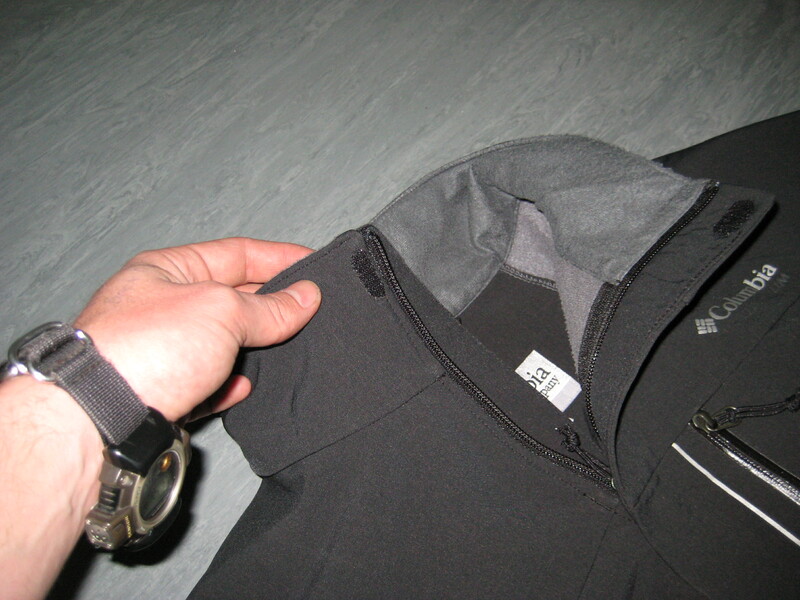 I’ve also worn it over the Wild Things Tactical Lo-loft puff jacket (review elsewhere) as an outer layer. Whilst I never initially selected this jacket for the purpose of wearing with so many layers in such a cold environment, my normal sizing policy of a little of room for movement (and the fact I can’t stand skin-tight clothing on myself) paid off well. A very nice, high quality softshell. Has some nice features. After having dragged this all half way over the world, and all over the country, it’s really impressed me. Perhaps the biggest negative I can find with this jacket, is the hand warmer pocket lining seems to be a mite fragile during normal use. I haven’t torn it yet, but it certainly feels fragile when I place my hands in them. It just doesn’t feel like it will stand up to heavy use. For my use out and about in civilised areas, to blend into the sheep without looking like a knuckle-dragging Neanderthal, this has been a very good investment considering the price I paid for it. I’m expecting quite a few years work out of this garment. Posted in Civilian, Clothing & Footwear by 22F with no comments yet.